A5 40 pages, point form for ease & appeal. 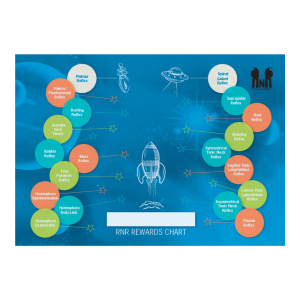 RNR Rewards Chart to keep your young patients motivated. 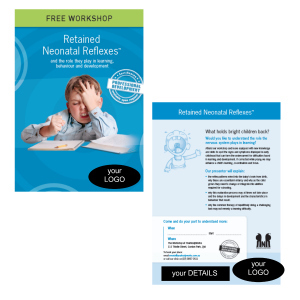 We’ve now made your task as a RNR practitioner a little bit simpler by producing a book tailored to pique your child patient’s interest, yet engaging enough for adults to absorb the information from its pages. Purposefully made to appeal to younger patients, they are ideal to reward them with at their initial consultation. Boxes of 80 ready for dispatch within 2 business days.